The United Kingdom is now the last EU Member State with a general blood alcohol limit of 0.8g/l, following a decision by Malta to switch to 0.5g/l. 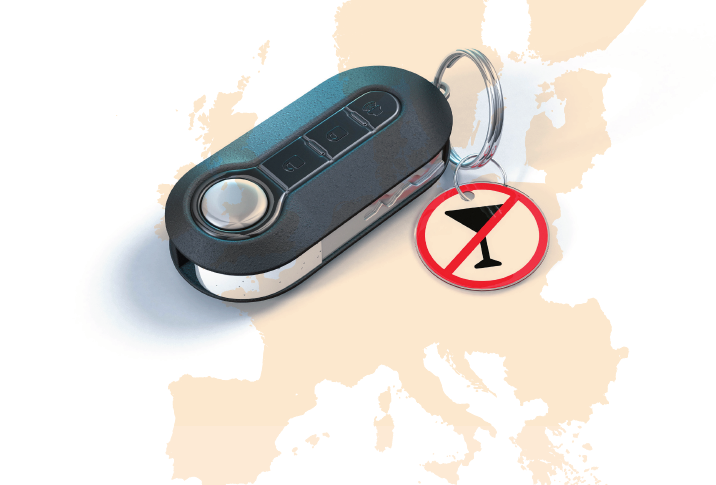 Scotland lowered its drink-driving limit to 0.5g/l, in line with most of Europe, in 2014. The rest of the UK remains at 0.8 despite estimates for PACTS, ETSC’s UK member, that a move to 0.5 could save 25 deaths and 95 serious injuries every year. The new Maltese traffic regulations also set a 0.2g/l limit for drivers of commercial vehicles and for novice drivers, and a 0.0g/l limit for bus and coach drivers. The Maltese plans also include introduction of mandatory assessment, education and treatment for drink-driving offenders and “legislative support” to enable law enforcement officers to always be able to carry out random breath testing and behavioural roadside tests as well as compulsory road testing following a road collision. At an event in December the Spanish directorate general for traffic put forward the idea of introducing a 0.0g/l limit for motorcyclists in Spain – but no legislative proposals have been put forward so far. Updated: 5/2/2018 – This article has been edited to include the fact that bus and coach drivers are subject to a 0.0g/l BAC limit in Malta.